What is structured data for SEO and why should you care? Are you wondering what structured data is and how it’s relevant to your job as an SEO expert? You’re in the right place. To put it simply, structured data helps search engines understand your content better and faster. If you’d like your site to be visible in search rankings – and who wouldn’t? – structured data helps here because it communicates to search engines what your website is about. But should businesses in all industries use structured data to their advantage? Is investing in structured data ultimately worth it? We believe that betting on data structuring is a smart move. But before we go on to explain why we think that, let’s see what structured data is all about. Structured data is an SEO strategy, but it’s also much more than that. 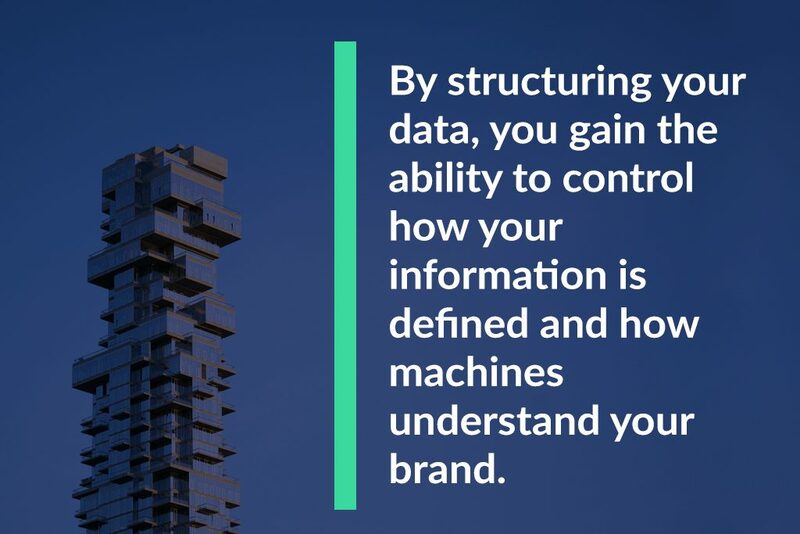 By structuring your data, you will be providing machines with a solid foundation for understanding your content. It works just like your relationship with customers. The more information you obtain about their problem, the better you can address it – because you know what types of issues they previously encountered. Ultimately, that type of knowledge prepares you to develop a strategy for success. The idea of structured data isn’t anything new. In fact, we’ve known about data structuring since a few years already. However, if you looked at the situation back then, you would see that data structuring possibilities were much more limited. Today you can find structured data just about anything, including topics like restaurants or jobs. 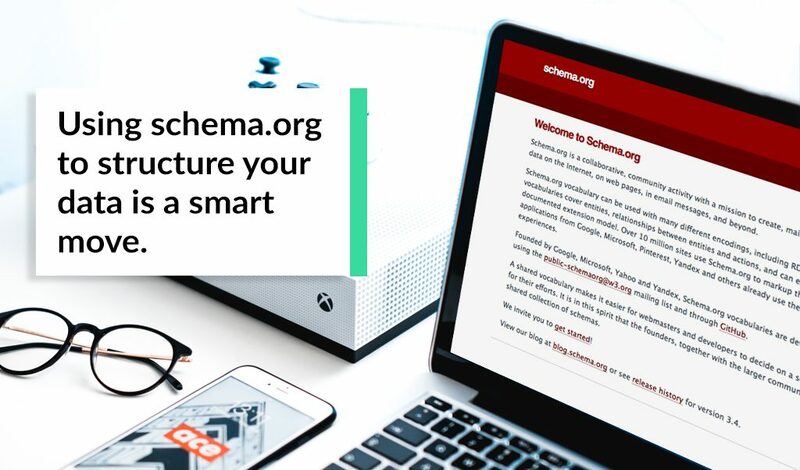 If you would like to learn more about what structured data that is, have a look at this blog post from Richard Wallis, a consultant who works on the schema.org project support at Google. The global use of structured data is on the rise. Today, structured data makes up around one-third of the commonly crawled web. Large brands have been testing the waters and dedicating resources to it for some time now, and they clearly saw the benefits of structured data like increasing conversions and improving traffic. You will be able to take advantage of many search benefits – for example, reusing information to enhance on-site search or boost analytics. By structuring your data, you will help search engines define your content and match it to relevant queries correctly. Schema is extremely important if you’re looking to expand into the chat box area – don’t forget that solutions like Alexa are based on voice queries, and Amazon admitted that it uses schema to determine local business intent. By structuring your data, you will make sure that search engines match your brand content to the voice queries made by users. Have a look at this page to see case studies Google shared that show examples of using schema by larger brands to boost their visibility. In the past, the primary value of structured data was that you got the rich results from Google. But now it’s so much more than that as it expands further to the quality of traffic measures. So why so many brands don’t use schema.org? They are stuck in the past and believe that all it takes to land on Google search results is a plain website. Fortunately, brands can take advantage of solutions such as Schema APP that allow to markup items and pave the way to creating, managing, and measuring structured data. Rich snippets – Getting rich snippets means that your products will receive much higher click-through rates. Schema helps to attract the attention of users to your listings, especially if your products have some excellent reviews. Rich snippets also boost your conversion rates because more people see your listings, the higher the chance they make a purchase. Voice search – It’s not easy for brands to establish a presence in voice search queries. Using structured data is a way to get featured snippets which means that your site will appear at the top of the search engine results page, right before the organic listings. That improves its click-through rate and drives more traffic to your website – but voice search results are also pooled from such featured snippets. That means your brand might become the only result for voice searches simply because Google uses featured snippets for verbal answers. As with all SEO tactics, it’s easy to find cases of structured data abuse. When using your structured data, stick to data are relevant to your content and avoid becoming spammy. If you fail to follow that rule, Google might send you a spammy structured data manual action. As a result, you structured data won’t be shown in the SERPs until you clean up your site and Google lifts the manual action. Make sure to update your structured data on a regular basis as the field is continually expanding. There is no denying that organic search is becoming increasingly competitive. 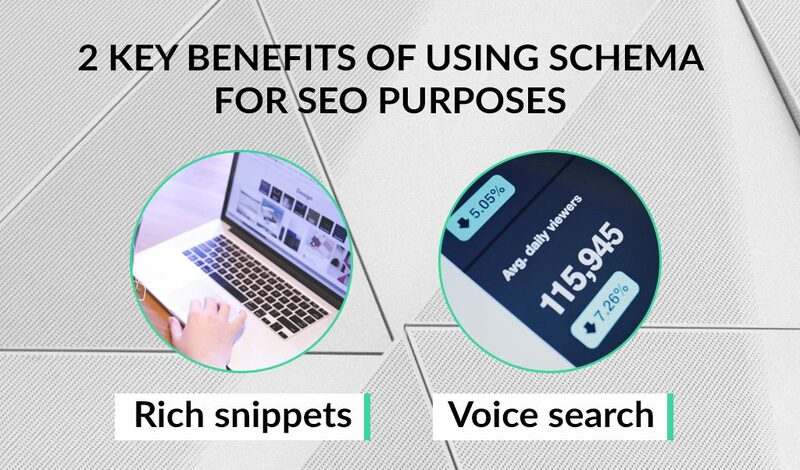 Any additional information you offer to the search engines will help boost your click-through rates, improve your visibility, and increase your chances in getting featured snippets and appearing in voice searches. All in all, SEO is about helping machines read and understand your content quickly. And structured data is yet another tactic that can help you achieve that and enjoy everything that good SEO has to offer. Have you got any questions about how to implement data structuring in your SEO strategy? Leave us your questions in comments; we’re happy to help you out and take advantage of this smart tactic.